Rail Contracts – A wealth of opportunities for SMEs. Home > Company News > Rail Contracts - A wealth of opportunities for SMEs. Many rail industry contracts will be put out to tender in the coming year. Could your business benefit? With the development of HS2 well under way, thousands of supply chain opportunities will become available in the near future. As one of the biggest and most ambitious infrastructure projects in the UK, the venture offers exciting prospects for businesses of all sizes to compete for a wide variety of contracts. A full range of works, services and goods will be required over the course of the project, including design and professional services, enabling works, tunnels, stations, the overground route and new rolling stock. For every major contract awarded however, there will be thousands of supply chain opportunities, particularly suitable for SMEs. Smaller contracts may include print, advertising, corporate services, waste management or building-related works to name just a few. HS2 will be an unparalleled opportunity for thousands of businesses, of all sizes, in many sectors across the UK to profit financially from the expected £56 billion worth of contracts. To view the contracts currently available, visit HS2 Contract Opportunities. 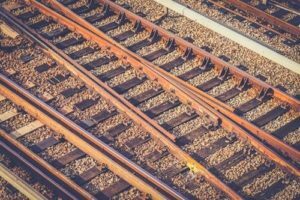 In addition, the government and National Rail are looking to spend millions of pounds over the next several years improving other areas of railway infrastructure. Plans are being drawn up nationwide for new rail links, to upgrade current routes, to increase capacity, for station modernisations, to extend electrification and to replace rolling stock. In order to secure such lucrative contracts, businesses will need to write and submit strong, compelling, winning bids. Aimed at businesses of all sizes and based on our extensive experience, our one-day Rail-Specific Bid Writing Workshop is designed to give insight into which requirements are likely to be seen within a rail bid, with a key rail contractor used as a focus throughout. Our training is open to anyone at any level within your organisation who is involved in the tender process and looking to improve your bid success rate. Interested? Our next Rail-Specific Bid Writing Training Workshops will be held in London on 11th September and Birmingham on 19th September 2018. To book, please click here, or call our Training Team on 01204 238046. Our Training Team offer a wide range of Bid Writing courses, click here for full details of dates, location and prices. In addition, Thornton & Lowe can provide several Bid Writing and Bid Management options, or indeed supply interim or permanent bid writing professionals to your business through our Bid Resource Division. Email us at hello@thorntonandlowe.com or call 01204 238046 to discuss your requirements.